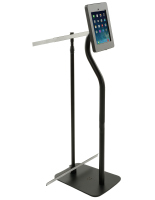 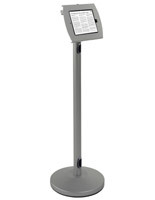 These iPad floor stands with banner feature a tilting bracket that allows them to accommodate any user. 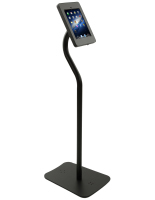 Each holder is made of strong steel with a black finish that blends with a number of interiors. 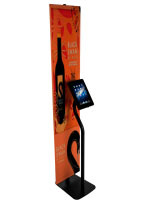 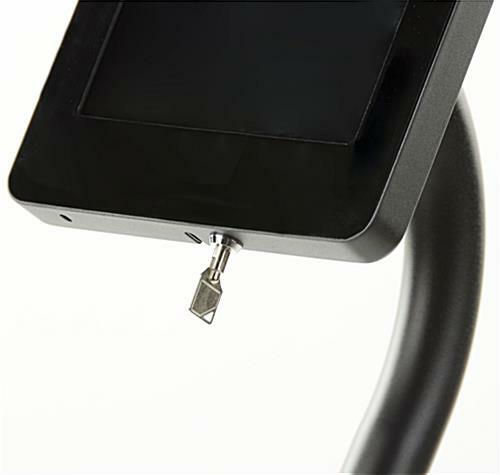 The iPad floor stands come with a support for displaying a custom graphic that makes them great for use at trade shows. 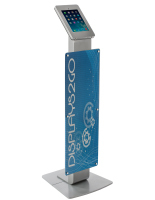 Passersby can navigate a company's merchandise and services on an interactive app after being drawn in by a colorful logo. 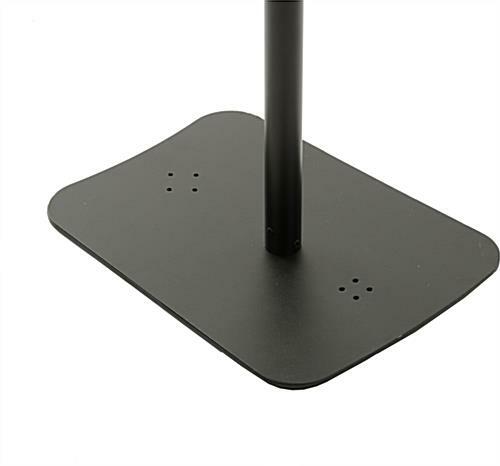 The black steel floor stands come with a weighted base that keeps them stable even in heavily trafficked environments. 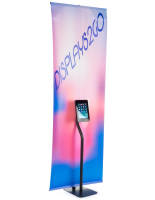 The trade show holders' tilting enclosure can support Apple® devices from the 2nd, 3rd, 4th and Air generations.